This year's entering SJV PRIME class at UC Merced. 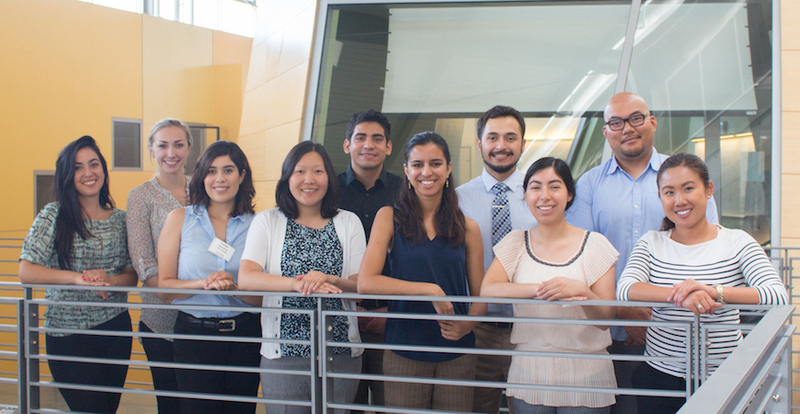 Established in 2011, the San Joaquin Valley Program in Medical Education (SJV PRIME) pools resources from UC Merced, the UC Davis School of Medicine, and UCSF Fresno to recruit and train future physicians committed to serving the Central Valley. This summer, SJV PRIME welcomed its seventh class — 10 first-year medical students who, in addition to receiving a standard medical education, also receive specialized training to help them to navigate the Valley’s unique health landscape. By virtually every metric, the San Joaquin Valley is doctor deficient. It has the lowest doctor-per-capita ratio or any region in California, with 170 doctors for every 100,000 people, compared to 304 statewide. According to standards set by the Council on Graduate Medical Education, a branch of the U.S. Department of Health and Human Services that monitors the physician workforce, the Valley would need a 33 percent spike in the number of primary care physicians to meet the needs of its population. For Ramandeep Dhillon, a student in this year’s entering class, these numbers hit close to home. Growing up in Caruthers, a rural town of fewer than 3,000 people 15 miles south of Fresno, accessing healthcare was often a challenge for Dhillon and her family. But as Dhillon observed, the problem is bigger than just a doctor shortage. Even when her family made it to the clinic, the doctors were ill-equipped to serve Dhillon’s Punjabi-speaking family. Only after college, while working as a medical scribe, did Dhillon realize her experience was not uncommon. Merced native and first year SJV PRIME student Pong Xiong can relate. When her brother was hospitalized, doctors were unreceptive to her family’s cultural concerns. But the divide was more than merely linguistic. SJV PRIME students pose with members of the UC Merced chapter of the Bhagat Puran Singh Health Initiative. Eager to bridge this cultural divide, SJV PRIME includes a significant outreach component in its training. In fact, outreach begins before students ever set foot in a medical school classroom. This year’s entering class spent the summer working with communities throughout Merced County. 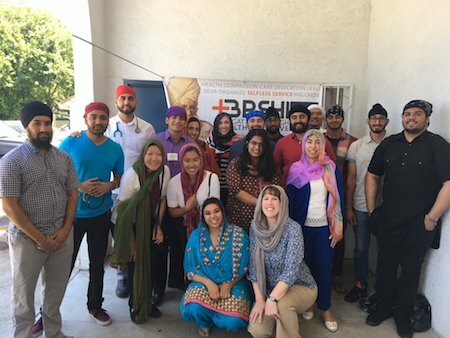 Students partnered with the UC Merced chapter of the Bhagat Puran Singh Health Initiative to provide health screenings at the Guru Nanak Sikh temple in Livingston. They also dined with members of Merced’s Hmong community, discussing health disparities and outreach opportunities. Students also toured local healthcare and research facilities. At Golden Valley and Delhi health centers, local experts highlighted the various health issues endemic to the region. And while visiting UC Merced, students participated in research roundtables that provided a crash-course in Valley-focused public health research. For many in this year’s entering class, SJV PRIME is more than just a medical education. It fosters discussion of health and cultural disparities and equips future doctors with the skills to serve groups whose needs have gone largely unmet.